Roman Seliger SGA Hose Loading Arms | Kiowa Ltd. Hose lines are normally used for the loading of fluids and gases between a mobile unit and a stationary plant in order to flexibly reach various connection points. During loading, the heavy weight of the filled hose including the coupling often makes the handling more difficult and can result in premature wear and high physical stress. 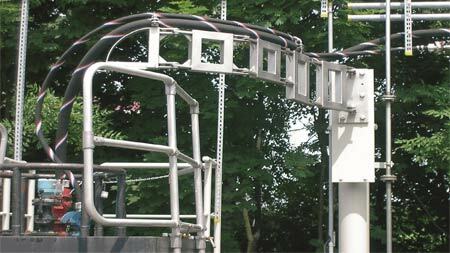 The hose loading arm ensures a safe, economical and, in particular, simple operation for the user. 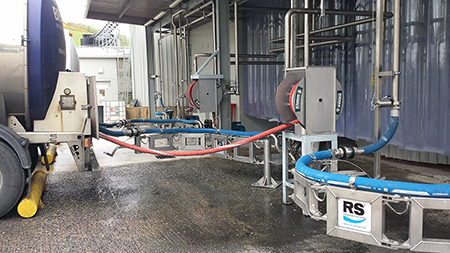 The SGA hose loading arm is used wherever fluids (liquids and gases) need to be loaded by means of a hose line running between a stationary plant and a mobile unit. No bends in the hose line. No load on the hose line. No mechanical stress on the hose cover (abrasion). It is not possible to drive over the hose line. No swivel joints or ball joints, ie no dynamic seals.